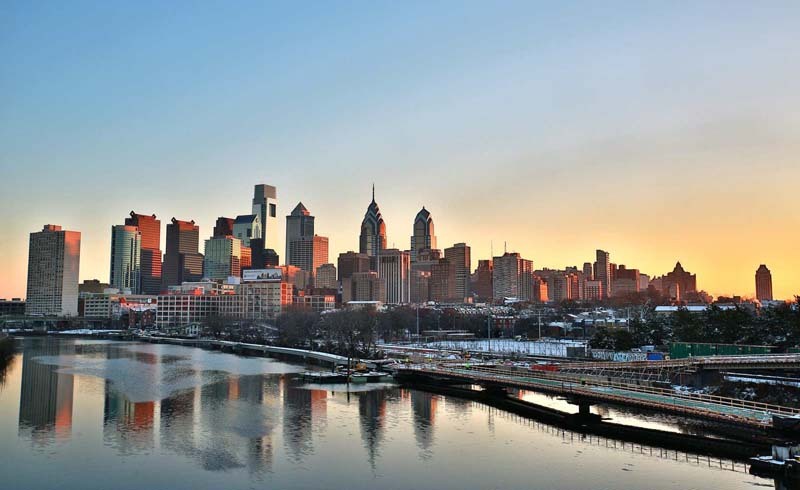 Located only two hours south of New York and two and a half hours north of D.C., Philadelphia is a convenient getaway and also ideal jumping off point from several other larger Northeastern cities. With its blend of historic roots and funky charm, Philly is more laid back than its more prominent neighbors, and it offers just as much to do, such as world-class art museums, diverse and award-winning food options, and tours of significant historical sites. Best Time to Visit: Philly is a great place to visit year-round, the summer is when the city really gets hopping. This is the best time to stroll around and see the many historic neighborhoods and outdoor attractions like Rittenhouse Square and the Philadelphia Zoo. There are also quite a few festivals this time of year as well. Getting Around: Philly has a pretty good public transportation system, called the SEPTA, which uses a variety of modes including buses, rapid transit, commuter rails, and even trolleys. Check out the SEPTA website for information on routes, times, and where to purchase Independence Passes, which will allow you unlimited travel in the city for a set number of days. Ride Share apps like Uber and Lyft are also available in the city and can be an affordable way to get around, especially if you’re staying mostly in the downtown area. Travel Tip: The city’s downtown area is extremely walkable, and the beauty of the historic buildings in this area make for a perfect stroll. If you’re up for a little exercise, grab a historic Philadelphia map from the visitor’s center and take a stroll…or even snag one of the Ride Indigo’s blue bike share bicycles! The three things most newcomers associate with Philadelphia are the Liberty Bell and the Rocky movies. Amusingly enough, these are all actually great jumping off points for some of things that make this city great: history, sports, and art. History: Definitely pay a visit to the Liberty Bell Center and the Independence Hall, but also make sure to visit other historical sites and museums. Visit the Betsy Ross House, where the woman who sewed the first American flag resided, and the Rosenbach museum, which houses a stunning collection of rare and ancient books. Art: The “Rocky Steps” best remembered from the iconic scene in the classic movie are actually the steps that lead up to the world class Philadelphia Museum of Art. If this leaves you wanting more of the city’s art scene stop by the Philadelphia Academy of Fine Arts or take a stroll down “Mural Mile” in Central City to view just a few of the 300 murals around the city that are part of the Philadelphia Mural Arts Program. Sports: Philly is a sports city, and there are a variety of different venues and teams here to cheer on. Football fans can check visit Lincoln Financial Field to check out an Eagles game. During baseball season, the Philadelphia Phillies often play home games at Citizens Bank Park. And yes, there are plenty of local boxing gyms and events that you can attend if you want to have a Rocky moment. The food item on everyone’s mind when they come to Philadelphia are the cheesesteaks. Pat’s and Geno’s, both located in Passyunck Square, are two of the most popular, though Jim’s on South Street also deserves a mention as well. However, if that’s the only food you try here, you’re doing yourself a disservice. The food scene here is as delicious as it is diverse, the cheesesteaks are delicious, but there’s way more to eat here than just sandwiches. First, head to Chinatown to trying out the Chinese food haunts like Sang Kee Peking Duck House and Dim Sum Garden. For Ethiopian, head to the University City neighborhood and have Doro Wat at a local spot like Abyssinia or Meskerem. There are plenty of fine dining options here too, such as Vetri or Volver. The cocktail scene in Philly is also worth trying out. There are actually a number of speakeasy-style places that serve wonderful craft cocktails like The Randstead Room, Hop Sing Laundromat and The Franklin Bar. There’s also a burgeoning craft beer scene in the area with places like Dock Street and Forest and Main, serving a variety of local, national, and international beer selections. Philadelphia is a city of neighborhoods and each has a slightly different feel. Most visitors gravitate towards the downtown Center City area. This includes the beautiful Rittenhouse Square area, known for its historic buildings and proximity to all the action of downtown. 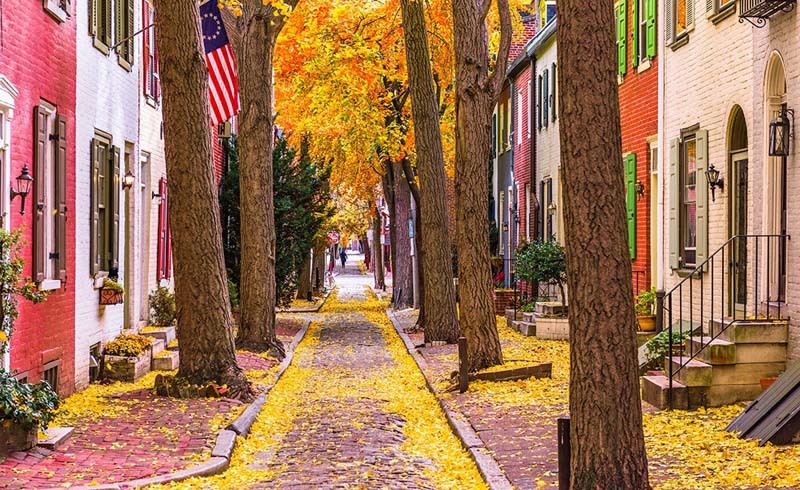 Another option for history buffs is the historic Old City, which is located closer to the Delaware River. Hotels like Morris House Hotel and The Bellevue are great places to stay in these two neighborhoods, especially if you’re looking for that historic charm, but Center City has a wide variety of hotel options to satisfy every type of traveler. For a more trendy vacation, consider further afield locations like the newly hip Fishtown area north of downtown. Getting to Philadelphia is easy. The main airport, Philadelphia International, is only about 20 minutes from the city center. If you’re coming from one of the larger nearby cities, like New York or DC, you can also catch a train via Amtrak or a bus via Megabus, both of which leave you at 30th Street station, or a Greyhound which stops right downtown near Reading Terminal Market. Many of the historical sites in town, such as Independence Hall and the Liberty Bell are free to all visitors. Many of the bars in the city have great happy hour prices, deals downtown. Passes geared at travelers, like the Philadelphia Pass and SEPTA’s Independence Pass, give discounts on admission and transportation at various destinations around the city.